With my birthday being last week I decided to make myself few things. 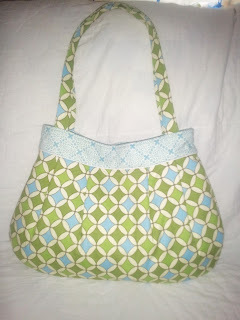 It was nice to sew something for me and to ch﻿eck a few things off of my very long list of things to make. Last year I made a camera strap cover, but it was to bulky for me. I put batting on both sides of the strap. My Mother-in-Law loved it and I was glad to give it to her. The extra padding was great for her. 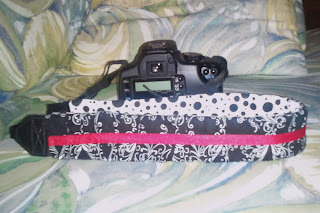 Here is my new camera strap cover I finally made myself. I love it!!!! I saw a few people checking it out when I sported it at my husbands gradutaion. Next up is an awesome purse I made. I did add a flap with a button after the picture was taken. After I put all my stuff in it the top was looking saggy and weird. The flap took care of that problem! I used a tutorial I found HERE. I love this purse and the pattern, but there are a few things I am going to change and tweek to make it more to my liking. I will share those with you as soon as I get thenext purse made. 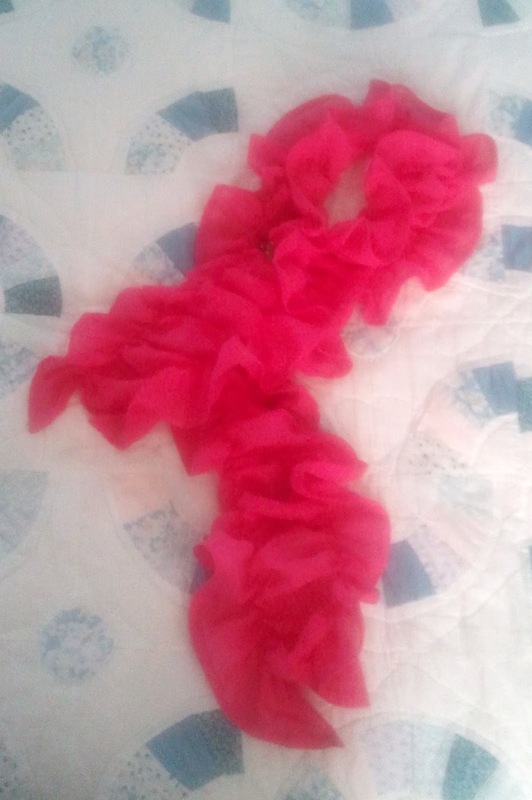 My final project I made myself was a springy scarf. It's airy, bright, and springy. This started out as a white gauzy fabric. I shirred it and hemmed it. Then I decided to dye it. I used red dye and added more fabric than it said to dye at a time so it would come out a little light. I love the color it turned out. I think a little selfish sewing every once in a while might be a good thing. I might start sewing for myself a little more often. These are great projects!! It's not selfish--it's just your turn! Belated Happy birthday! Those are wonderful gifts for yourself. God bless you with tons of more talents and beautiful ideas. You're an amazing person. Your followers are blessed with all wonderful ideas you shared in your blog.